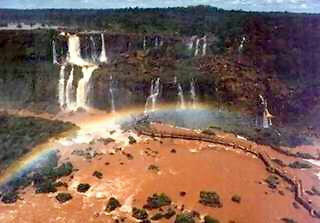 Located on the border between Argentina, Paraguay and Brazil, this is where the Parana River cascades down the "Devil's Mouth" to create the most voluminous waterfalls in the world. 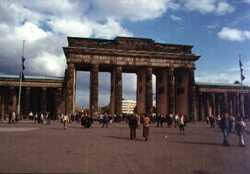 Formerly also known as "Checkpoint Charlie" when it was the main transit-point between East and West Berlin before the fall of the Wall. 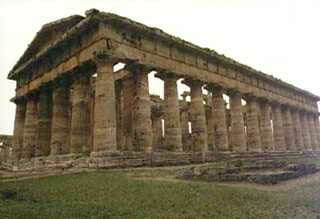 One of the best preserved of ancient Greek temples - used as a backdrop in the movie Jason And The Argonauts. 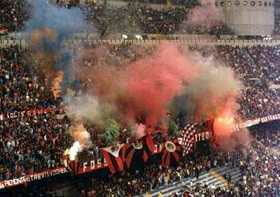 More commonly known as the San Siro (after the suburb in which it is located). Home of AC Milan and Internazionale, two of the biggest clubs in the soccer universe. 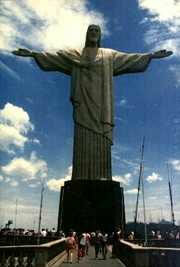 The massive statue known as Christ the Redeemer stands atop Corcovado Mountain. Built to commemorate Brazil's first one hundred years of independence from Portugal, it seems to gaze over the city toward Sugarloaf Mountain, a bare granite rock rising out of Guanabara Bay. The Church of St. George is the best preserved of a series of eleven UNESCO-listed monolithic churches located in a small town (originally known as Roha) in the northern region of Tigray. 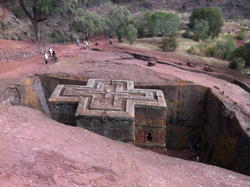 Most are thought to have been carved from the living rock during the reign of King Lalibela in the twelfth and thirteenth centuries.